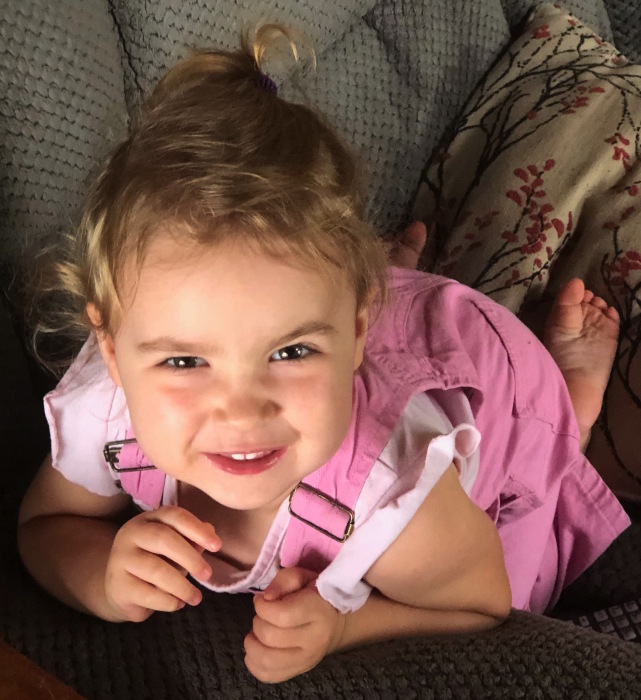 Lydia Bowie Wood, 2, passed away unexpectedly at home on November 30, 2018. She is survived by her loving parents Matthew Wood and Kelley Keating; Grandparents Wendy and Don Campbell of Tunbridge, Gerard and Regina Keating of Topsham; Great Grandparents Karleen Dawson Wood, Nadine Keating, and Gordon and Blanche Bagley all of Lebanon, NH and Marion Kelley of Bar Harbor, ME; Lydia’s aunts and uncles; Rod Keating, Zach and Meghan Waldner, Thomas Wood, and Charland Wood, and her best little buddy Finley (Cousin). Lydia loved singing songs, reading from her favorite books, her dog Louise, all things Dr. Seuss, making new friends every day, being outside, and spending quality time with those who loved her. Memorial donations may be made to Barre City EMS. Friends may call on the family from 11am to 1pm Saturday, December 8, 2018 at Hale Funeral Home, 187 Upper Plain, Bradford, VT. A Celebration of Lydia’s Life will follow at the East Topsham Town Hall.